Just One Bed Bug? Advice please! 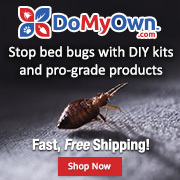 Flea products for Pets that kill bed bugs? I've protected my bed, but I'm wondering about my dog. Are the bugs going to go after him? When I was living with bed bugs, and sleeping on a protected area, the bugs did start to bite my dog. She is a non shedder with hair, but she has a soft underbelly. I saw red marks on her underbelly. My husband and I decided to board her during the treatments. She was boarded for 3 weeks. It was a terrible time, but I didn't want her to be a blood supply. Bugalina: When you were dealing with this stuff, did you learn anything about whether Advantage/Frontline/Revolution had any effect on BBs? My cat has not been bitten, so far as I can tell, but that could just be coincidence. I found nothing that discussed the repellent effect of Frontline and its ilk on BBs. my dog uses revolution and although i did not see any red anythings on him he was definately constantly scratching his itches. and after a treatment it would subside so i think that those products do not protect the pet. buggeroff....I did apply frontline to my dog....but she still got bit....when I ran this by others on the Blog or Yahoo Group , they said that maybe I did not apply the frontline correctly, I didn't really rub it in enough....apparently it really has to be rubbed in....but however I applied it, it didn't work....I am certain that the red marks I found on her underbelly were bed bug bites....It makes me sick to even recall it.. Thanks, everyone, for your input. So do bedbugs not like to bite pets where they have fur? My dog does have Frontline on him. I just checked his belly, and don't see any bites. Frontline Plus is what we use due to the fact that we live out in the woods in a very heavy tick and flea infested part of the world. From a bedbug point of view however, it offers little to no protection. Fipronil (the active adulticide ingredient) has NO repelancy whatsoever. In fact, that is why we use it for termites and ants.. they don't know they are getting in it and take it back on them to the colony. It is also somewhat of a slow kill. I have talked to someone who did efficacy studies of Fipronil on BBs and they said it doesn't work as well as anyone expected. The other ingredient in Frontline is an IGR... again, IGR's are having some reallllllly unexpected effects on BBs. I spoke with our vet, and the state parisitologist, and their recommendation was if I didn't feel the frontline would cut it, to add a permethrin or pyrethrin spray on top of it, especially after a known exposure. Apparently they don't read Dr. Potter's studies. The protocol we follow with the bedbug K-9s is to keep them on the frontline, spray them with the pyrethrin after any inspection with a hit, and then follow that with a thorough bath and blow dry (with a commercial grade blower) at the end of the day. For a pet in a house under infestation, that may be a bit much to do.. and unfortunately, the kenneling concept may be the best course of action. We know the bugs will happily feed on our pets (don't forget the birds!!! ), and it much harder for a pet to let you know they are itching all over or are uncomfortable from the bites. Make sure that your treatment protocols used include the pet bedding! Do not take any pet toys or bedding to the kennel. The washer/dryer routine would be highly recommended for the bedding if at all possible. With birds, I always recommend putting the bird in a different cage and sanitizing the regular cage. (Steaming all these thing has a side benefit of making a healthier environment for the animals). Thanks, K9Handler, for the experience you bring on this front. Bed bugs do bite dogs. thanks k9handler--this also follows what limited tests I had done on "Advantage" in a very small non-scientific uncontrolled "study." Any thoghts on Advantage??? 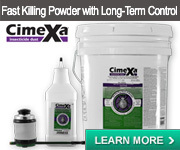 Unfortunately, I do not have any hard data on imidacloprid (the active ingredient in advantage) vs. bedbugs. Part of the reason for that is a field study done but the University of Georgia that showed while it does kill 99-100% of fleas and ticks in the first 24 hours of application, by the second week it was starting to fail, and by the labelled re-application time, had failed miserably. 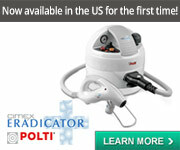 Most police forces use Frontline Plus on their K-9s, and this may be part of the reason. 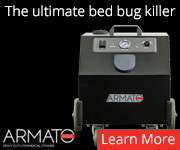 I assume that the case may be the same for bedbugs, if it works at all. Utterly off topic tip... use the internet to search for the lowest price you can on flea/tick/heartworm control.. print it out.. take it to your vet and see if they will price match... I bought our heartworm medicine for 4 of our dogs a few days ago and saved $294 off our vet's regular price for a year's supply. Again K9Handler: This is very interesting information. It's distressing to finally realize that the bugs DO in fact bite dogs. Since they have so much hair/fur I always thought it was not possible. This is very helpful information from SPDIBBK9Handler. Thanks! These parasites are extremely resiliant and strong and after all, are a force of nature. Mother nature is not always our friend. Remember that line from the movie Jurassic Park? I told my roomie that we should go ahead and make the bed bugs pets. God knows we've spent enough money on them. Plus, we feed them and they sleep in the bed anyway! kodell and everyone else, good luck keeping the 'kids' bb-free. My boyfriend has three little dogs and I worry about taking the bugs over there ALL the time. Great advice here. k9 what about revolution? i have done no studying as to its active ingredience but maybe you know. my pet did get bit, he was scratcing constantly and showed no signs of being bitten. i knew when i needed another round of pco treatments when he would start up again - somethimes even before i got bit again. Selamectin is the A.I. in Revolution. 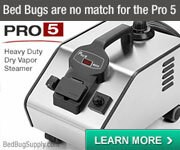 It isn't used in any pesticides I know of, so I do not have a frame of reference to it from a professional standpoint. It is a synthetic avermectin, which we do use in some baits, but do not have any interior sprays for. My guess is that it has no repelancy to it, but that it may kill the bugs that feed on the pets. That doesn't do the pet much good in the short term, as they will still have reactions to the bites they receive. In a bad (I know, a relative term in bedbugs. some or most of you would say 1 bug is bad) infestation, the pet would still be subject to multiple bites on a continuing basis as just the ones that feed on the pet would get killed. (I also don't know about LT100 for it)and the others that were happily munching on you kept on reproducing. 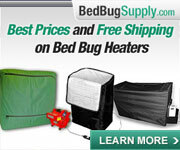 As with most things bedbug, this is a complicated issue, and probably a multi-faceted approach is best. 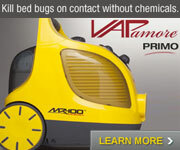 Use multiple chemicals on the pet, clean their bedding as you would yours, etc. You could always just let the pet sleep in the isolated bed with you. I used to have rats, up until a year ago. . They make lovely pets. . Just have the five cats and four gerbils now. .
Man what I wouldn't give for this to actually be fleas. Hubby's allergy and all! Fleas are much more simple (though you still have to work) to deal with. .
freddie does sleep with me. thanks for the info k9 now all i need to do is google all the chemical names you wrote about that are in revolution and ill be in the know! thanks for your time. You seem to be very professional. Where is your company located? SPK9Handler...I have posted many times that during my infestation bed bugs were eatting off my Pup...her little soft underbelly had the telltale red 2 in a row punture/bite marks. I think many have not believed me so I am glad to see that you have validated this. Also, in the original home where my infestation reared its ugly head, there were mice, because the landlady had a ton of cardboard boxed stacked to the ceiling, in the basement..during the winter I could smell that nasty nesting odor. When I told this to the exterminator he informed me that bed bugs would go to the mice and possiblly eventually return to my family, unless they too were eradicated. That's when I fled from this house. That said I really appreciate your professional help. It came up a while back that many people with cats had bed bugs, people questioned if those with cats were more likely to have infestations. I don't have cats, but I remember this coming up. I tend to think not, however, I do think that cats might make an extermination more difficult and I also think that allowing the cats into the bed is not a prudent idea....Do you think that bed bug eggs can stick to the fur of cats ??? It appears from a temperature point of view, Usinger only tested rabbit, chicken and human average temperatures, and found a preference for rabbit over man, and a further preference for temperatures higher than even rabbit over rabbit. I would take that to mean they seek out the "brightest" heat signature, which if you have cats, would be cats over you. I don't know if it more very geeky and obsessed, rather than professional, but I will take it as a compliment either way. Our home base is in North Carolina, though we do find ourselves traveling quite a bit lately. Feel free to PM if you need more info than that, but I try to abide by that whole not advertising without paying nobugsonme dictum. I can't say definitively on the clinging to fur part. My gut tells me they could certainly be transported in the collar of any pet. I also know they somehow get widely dispersed among bat colonies, as they are found in a decent percentage of bat colonies in the US. Which would indicate me they can cling to bats, either as eggs, nymphs or adults... and bat fur is much shorter than most cat's. Flying is also a wee bit on the rougher side than a ride on the average couch cushion kitty. My bigger harping point with people with pets and bedbugs, is don't forget the pet toys! A cat scratching post strikes me as a lovely bedbug haven (especially the wrapped rope ones). Also don't forget that clusters of bedbugs would be likely to be found near the pet's favourite sleeping areas, either day time nap spots or regular night time bedding. As to the people with cats being more prone to infestations, I would say it more likely that there may be a greater strain on the immune systems of people with cats from their dander, so maybe they are the ones more likely to react to bites. (this is strictly labeled as pure speculation with NO basis or backing). People often forget that a positive correlation does not mean causation. "It came up a while back that many people with cats had bed bugs, people questioned if those with cats were more likely to have infestations." Hmmm. I'm not sure how the two would really connect. . . I mean, if you have them, you have them, right? Cats being in the house wouldn't change the used couch someone bought, or the kids' friend who slept over, or any of that. . so if they got brought in (or came from a neighbour through the wall or whatever), then the cats don't really decide that. . know what I mean? K9, you must have posted while I was writing as I didn't see yours until I posted. . It appears from a temperature point of view, Usinger only tested rabbit, chicken and human average temperatures, and found a preference for rabbit over man, and a further preference for temperatures higher than even rabbit over rabbit. I would take that to mean they seek out the "brightest" heat signature, which if you have cats, would be cats over you." Thanks for checking the information, much appreciated! I've checked my cats over and I can't find any signs of them being bit - but I suppose it could be hard to see. . .
"As to the people with cats being more prone to infestations, I would say it more likely that there may be a greater strain on the immune systems of people with cats from their dander, so maybe they are the ones more likely to react to bites." "People often forget that a positive correlation does not mean causation." Sixteen, the line I meant to include, but forgot was bedbugs probably don't care who they get to go home with when they hitch a ride in. It may also be that in houses with pets, there are simply more hosts around, which can support a larger population of bugs, or at least help the critters get established more thoroughly. In theory you could have bugs set up around a pet's sleeping area first, and the humans don't start getting bit until the bugs spread out from a well established base. If they don't make it to your bed until the 4th or 5th generation, you probably feel like you went from 0 to crazy amounts much faster that those who are the sole host for their population of them. Well now I'm back to glad that four of the five sleep with us - since I've started to wrap my head around (likely) dealing with 3 bedrooms (well, 2 perhaps only) and I really would fall way back in that if I thought I had a pet sleeping area infestation as well . . but four always sleep upstairs in beds and the one other sleeps on the kitchen counter in a very inhospitable-to-bugs type of area. Of course, I don't want my cats being bit either! But then, if I think of booting them from the bedroom, could that not work like when people move and bring their bugs to the couch with them. . . oy. I fear that your comment about having the pets kicked out causing the same movement to new areas is pretty much spot on.. the pets do put out CO2, have a heat signature, and do provide a meal... so the bedbugs are likely to follow them. Especially if you have isolated your bed properly. 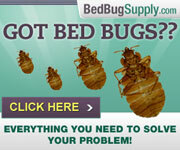 I can understand that bed bugs will feed on dogs, cats, and other furry or avian friends. However, I will be adopting 2 chinchillas in the coming weeks, and am curious to know whether anyone has had experience with chinchillas and bed bugs. Chinchillas look like they have a rabbit's body with large mouse-like ears and a squirrel's tail. They're found in the high altitudes of the Andes Mountains and therefore, have very dense fur. I've read that because of the density of their fur, fleas cannot feed on chinchillas (source: http://www.thechinbin.org/2007/11/getting-chinchilla-as-pet.html). I have read through this whole post and haven't seen anything about transporting pets from an infested home. We are tenting and I need to take the cats somewhere...I was hoping to take them to a friend's house. They do not wear collars and I haven't noticed any itching, but that doesn't necessarily mean they haven't been bitten. I don't want to risk taking the bugs with the cats! Of course I won't bring any cat toys, etc. I am struggling with bedbugs also with a number of animals in the house. Because of the numbers, it would be hard to board them. The furniture that I have left has been treated with Tempo under the cushions with the thought that if they came onto the dogs while on the sofa for instance, they would then go down into the cushions to hide and be killed by the insecticide. This doesn't seem to be working however. Does anyone have any thoughts on this? Everyone's case is different and it's important that we know more about the situation in order to try and make suggestions. So I have responded to your other post, which gives more details, and I suggest others follow this link and respond there also.